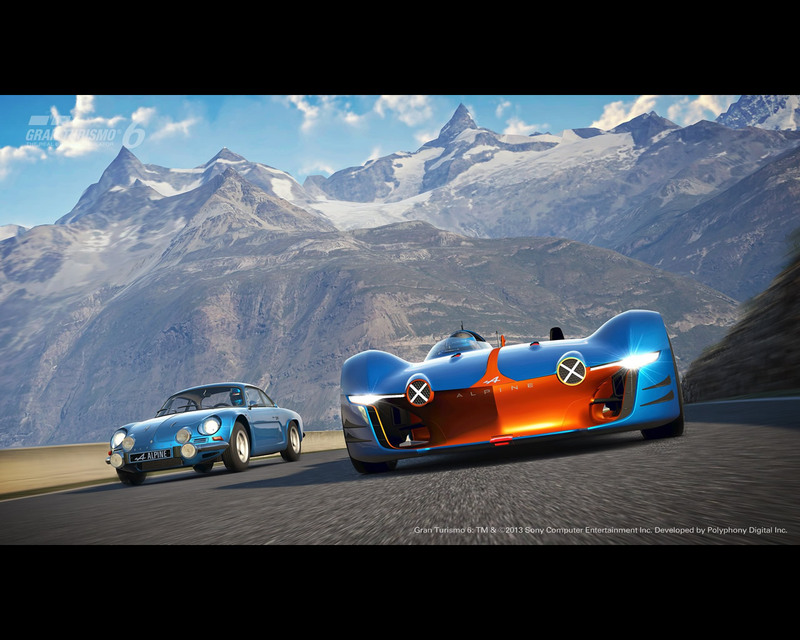 Alpine celebrates its 60th anniversary and is part of the legendary video game Gran Turismo 6. 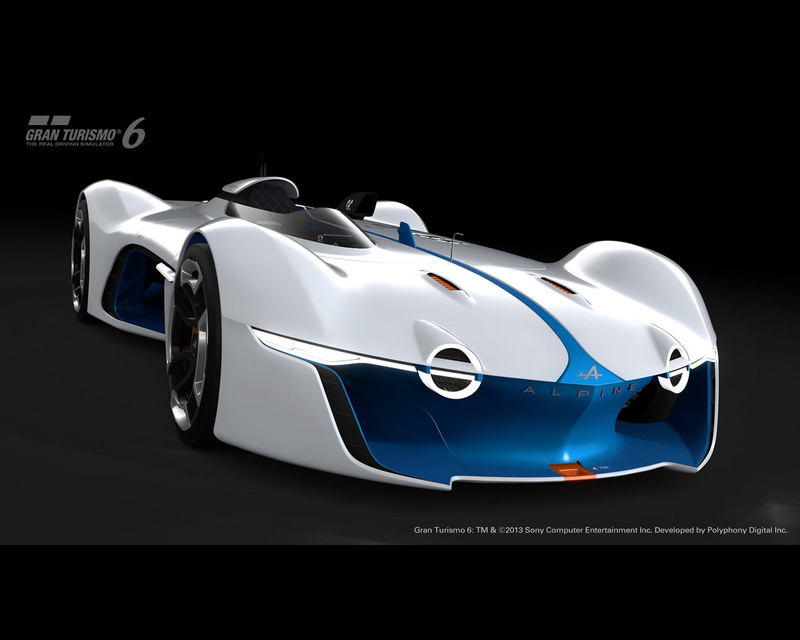 The Alpine Vision Gran Turismo, fruit of the collective imagination of the designers and engineers entrusted with developing the 21st Century Alpine, is due to appear soon in the celebrated Gran Turismo® 6 game in millions of homes worldwide! 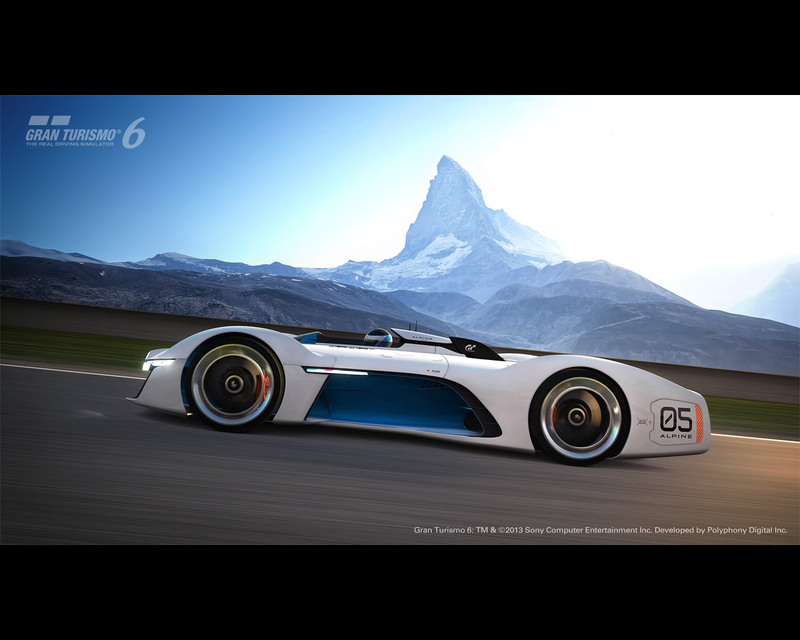 The Alpine Vision Gran Turismo will enable players to get behind the virtual wheel of this exclusive creation that embodies the brand’s unique DNA. 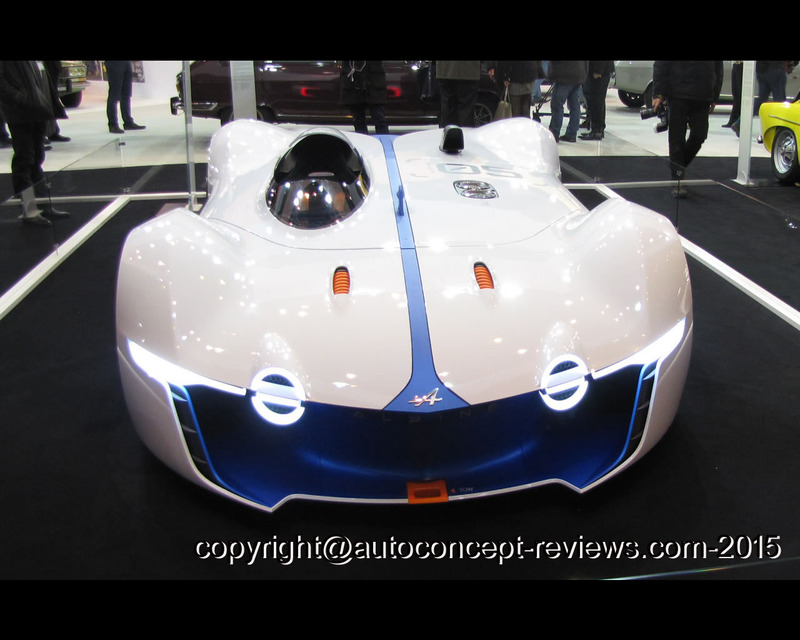 Dreams can become reality as Alpine present a breath-taking full-scale model of the car at the Festival Automobile International in Paris on January 27, 2015. The Alpine of the 21st Century is creeping gradually closer. The wait may seem interminable to the more impatient fans, but at least there is plenty going on to help them to bide time! In motor racing, for example, the Alpine A450 prototype collected European endurance racing titles in 2013 and 2014, as well as a podium finish in the LM P2 class in last June’s Le Mans 24 Hours. 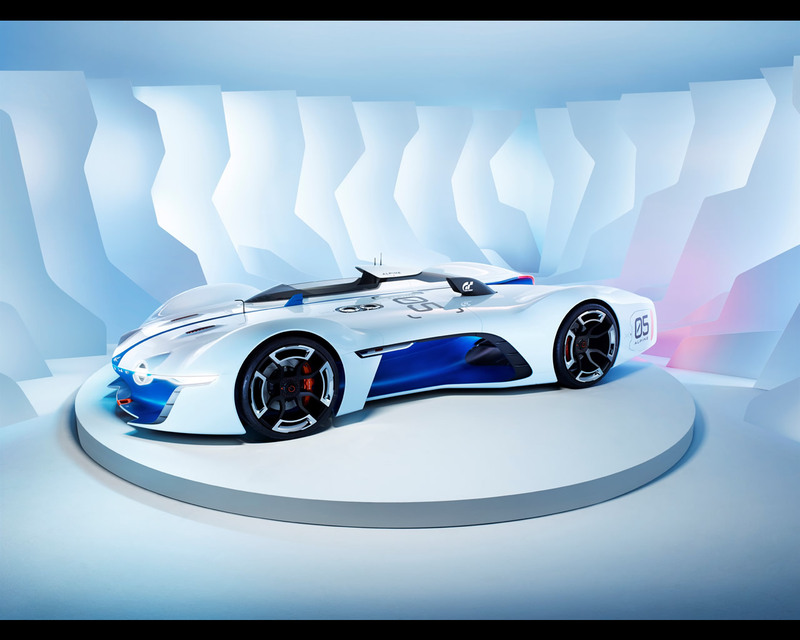 Before going into the design of the Alpine Vision Gran Turismo in more detail, it is perhaps an idea to go back more than 15 years when Sony recruited the Japanese economics student, Kazunori Yamauchi. ‘Kaz’ was an ambitious and visionary young man whose skill and passion as a game producer persuaded Sony to allow him to create his dream, five-years in the making - the ultimate driving simulator. Taking advantage of the technological breakthrough that was the PlayStation console, Polyphony Digital produced an immediate hit with the launch of Gran Turismo on December 11, 1999. It revolutionised the video game industry with sales of the first title reaching more than 11 million copies. 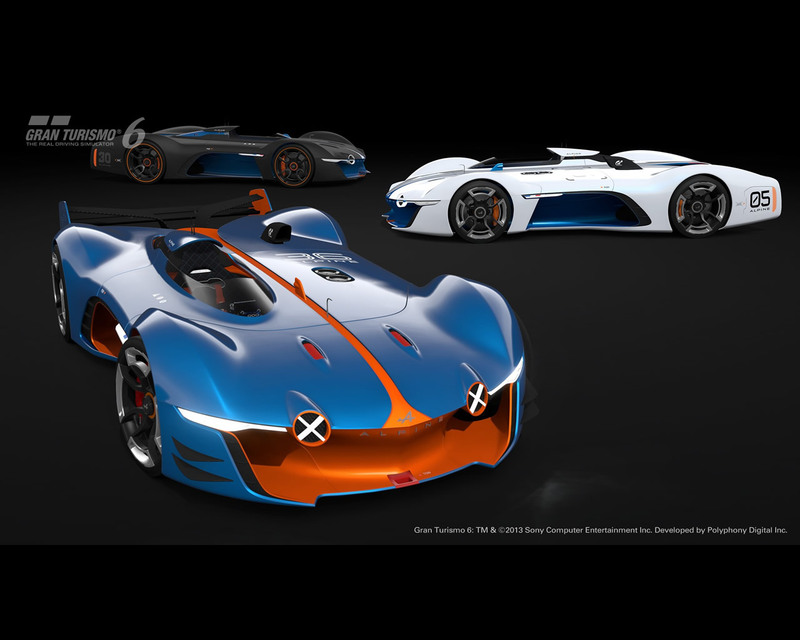 « Would you be prepared to design a car for Gran Turismo? 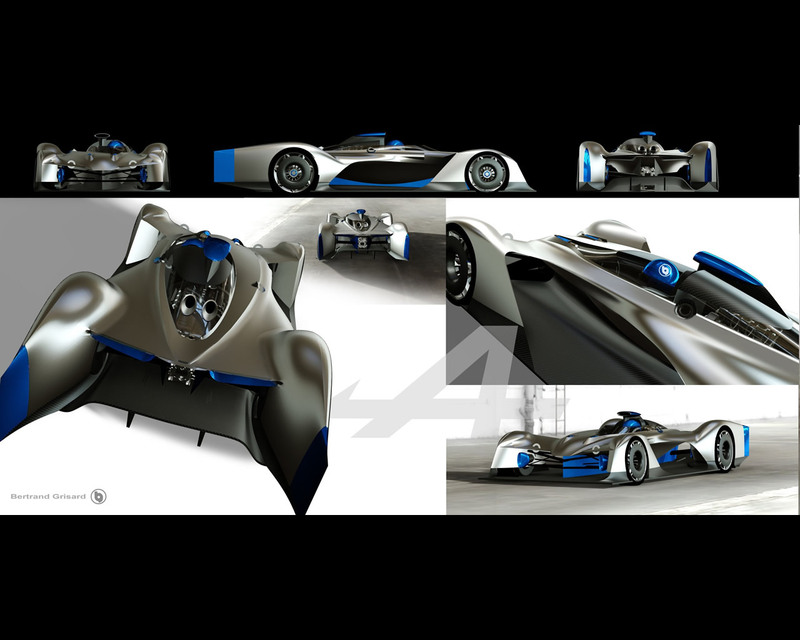 » This simple question got the brains of the teams at Alpine thinking overtime, despite the fact that they were already busy preparing the brand’s comeback in the form of the first production car that will be presented to the public in 2016. This enticing blank sheet of paper provided them with an exciting opportunity to explore new creative ideas without having to take certain production-related constraints into account. Very soon, the idea of a lightweight, agile, ‘barquette-type‘ car, in keeping with the brand’s racing program with the A450, took form. 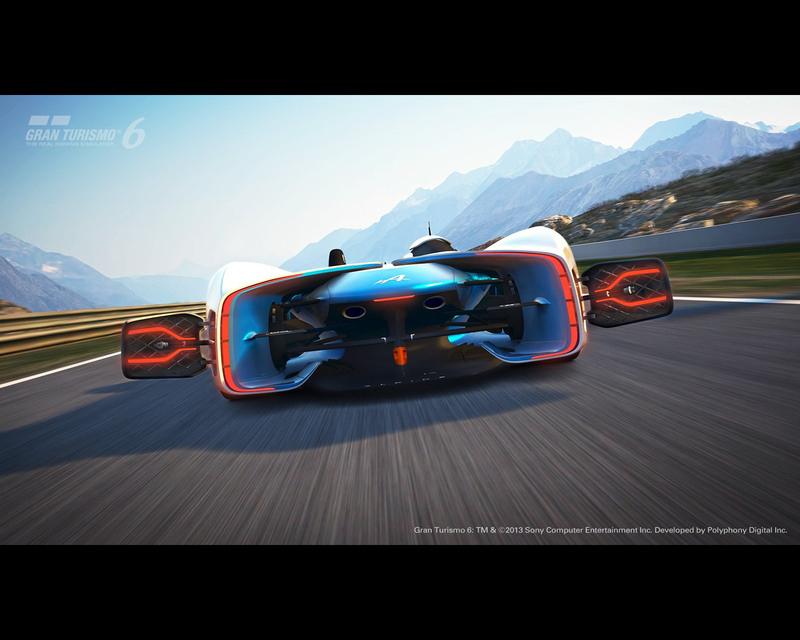 Meanwhile, Polyphony Digital fed the data into their own software and, a little more than a year after the project’s launch, the final specification of The Alpine Vision Gran Turismo, was set in concrete. As the final icing on the cake, a new challenge was set: that of producing an actual tangible version of this incredible creation. The fruit of the model-makers’ efforts sparks a different set of sensations still, and the Alpine Vision Gran Turismo’s racy, atypical lines ‘speak’ to all generations. Kazunori Yamauchi, President, Polyphony Digital Inc. Senior Vice President, Sony Computer Entertainment Inc. While the brief submitted to the designers was, well, brief, it included one specific stipulation in comparison with their usual creations.The key focuses of the concept car needed to be the rear end and the cockpit, simply because they are the most popular views in motor sport video games. 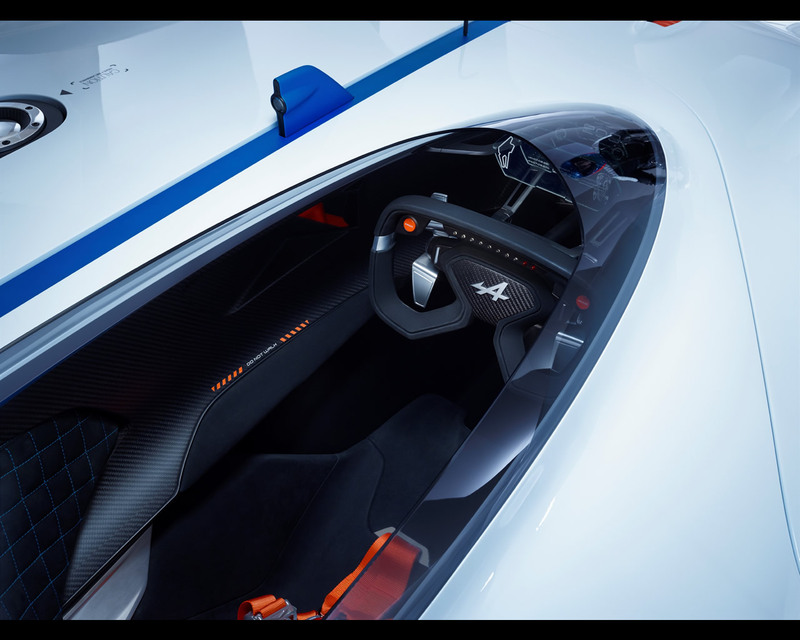 The appeal of Alpine Vision Gran Turismo is further enhanced by its open cockpit. 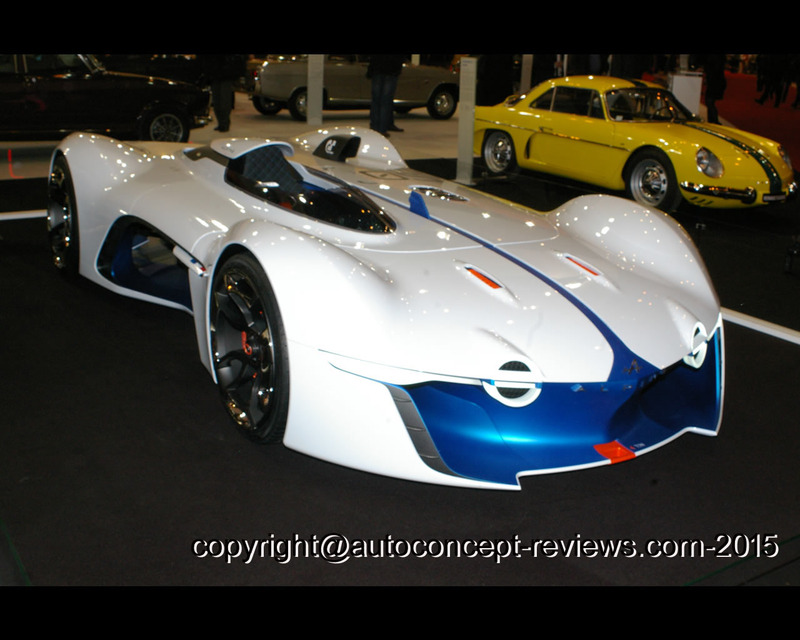 The driver sits on the right, a design typical of sport-prototype cars given that the majority of circuits – not least of which Le Mans – run in a clockwise direction. 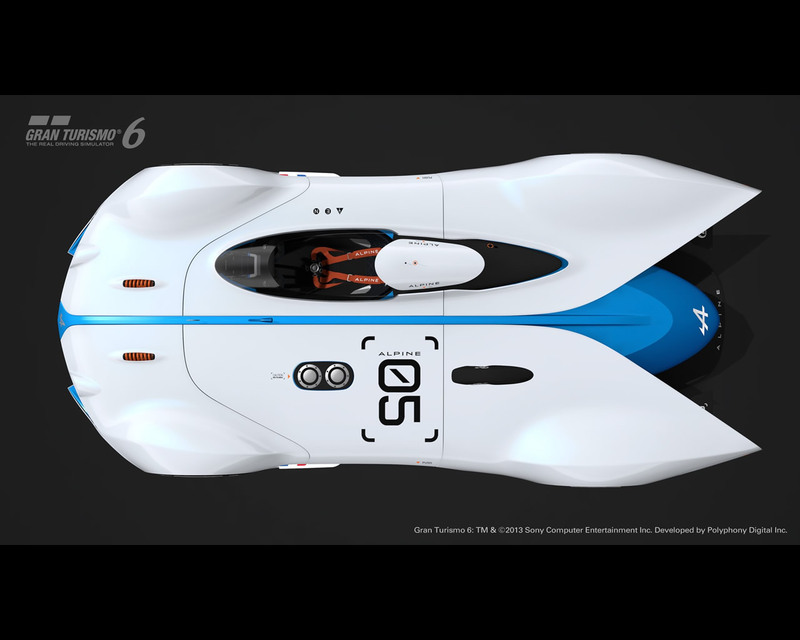 Gran Turismo allows players to choose between three personalised colours: - White and blue: this elegant, understated livery is also the colour scheme chosen for the full-scale model of the car. - Orange and blue: inspired by the Alpine A450, two-time European Endurance Champion - Matt black: in true gamer style. The Alpine Vision Gran Turismo might be a virtual machine, but it was none- theless duty-bound to adopt driving dynamics and handling characteristics worthy of its glorious predecessors. Terry Baillon, a simulation and chassis development engineer for the forthcoming road-going model, explains the development process. What did your work on this project consist of? 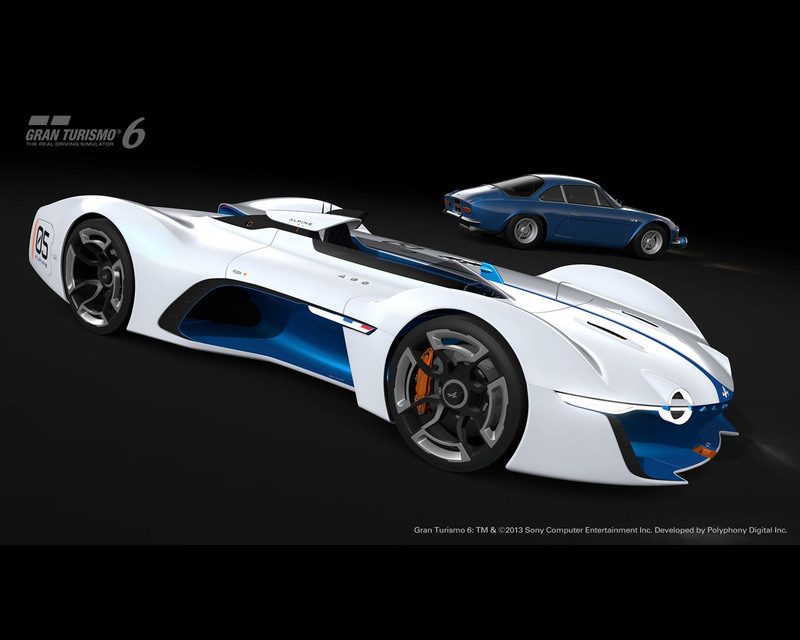 What dynamic characteristics have you instilled in the Alpine Vision Gran Turismo? 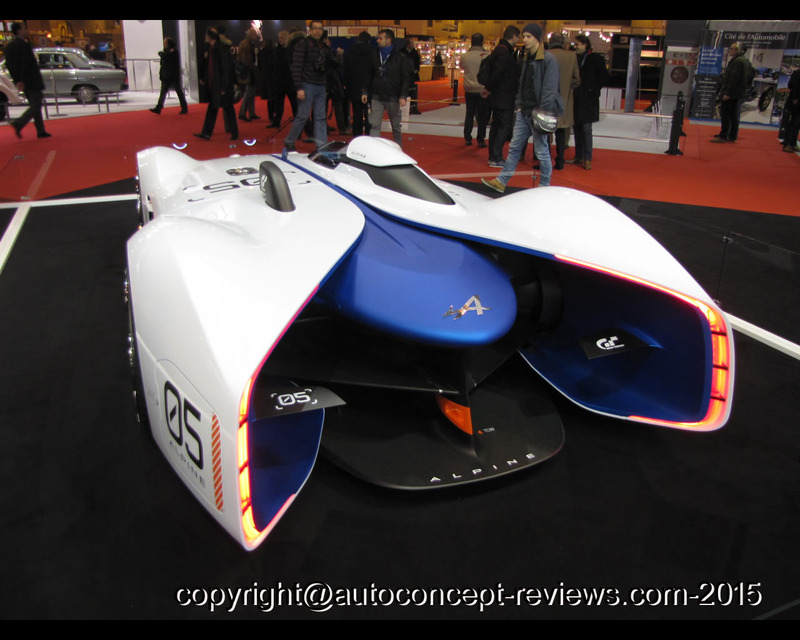 How would you summarise the car’s characteristics? What is the recipe for faithfully replicating realistic driving dynamics and performance in a ‘virtual’ machine in a video game? What will you take away from this project? Out of interest, what type of player are you? « It’s such a beautiful car that it would be great to see it in the flesh! 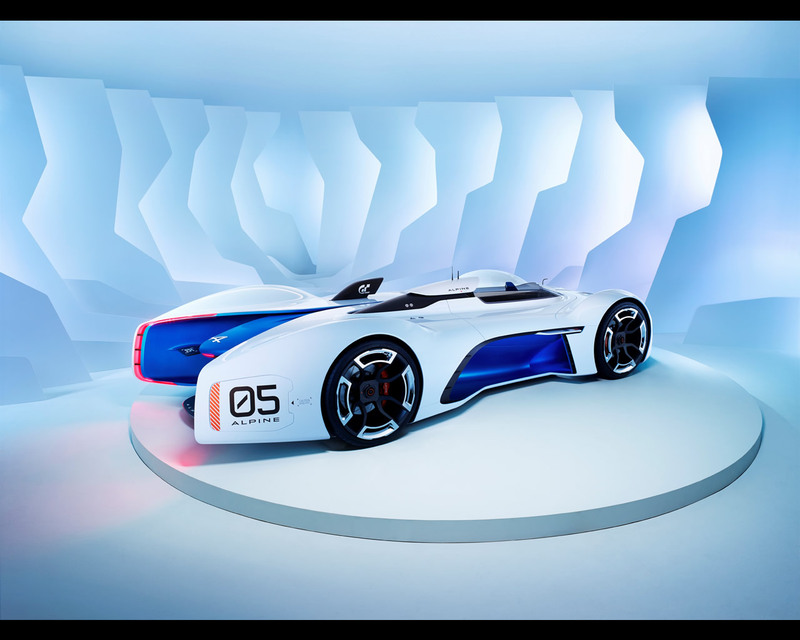 » What was intended as little more than a quip was taken on board by Alpine and, once the digital version was completed, attention turned to producing a real-life version of The Alpine Vision Gran Turismo. A double composite shell was produced to give form to the concept car which was no longer merely ‘virtual’ any more. Since the bodywork also reveals the technical elements that lie beneath, significant work also went into incorporating the different assemblies, including the suspension. Similarly, the cockpit’s design called for particular care and upholsterers were called in to produce a bucket seat with visible stitching. 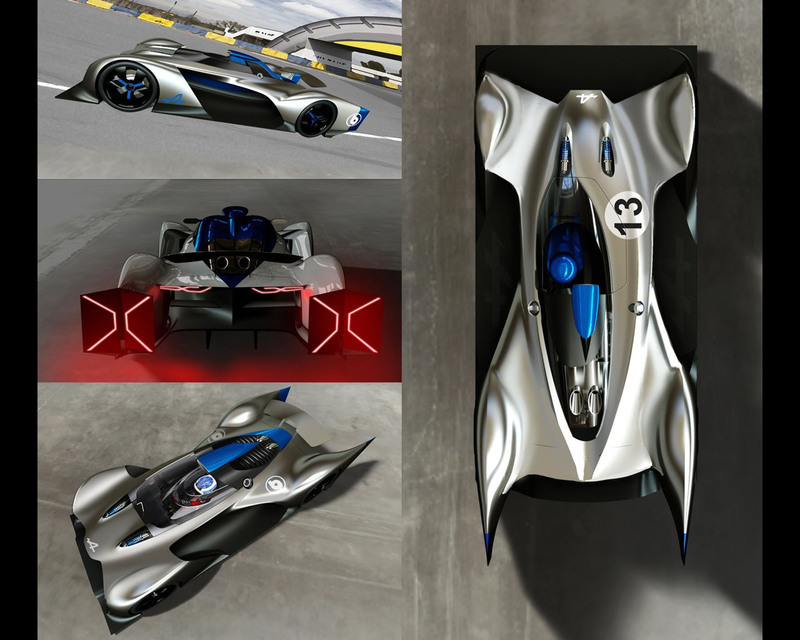 The full-scale version of the Alpine Vision Gran Turismo immediately impresses through its unusual proportions, while visibility from behind the wheel is perfect with nothing in the line of sight. 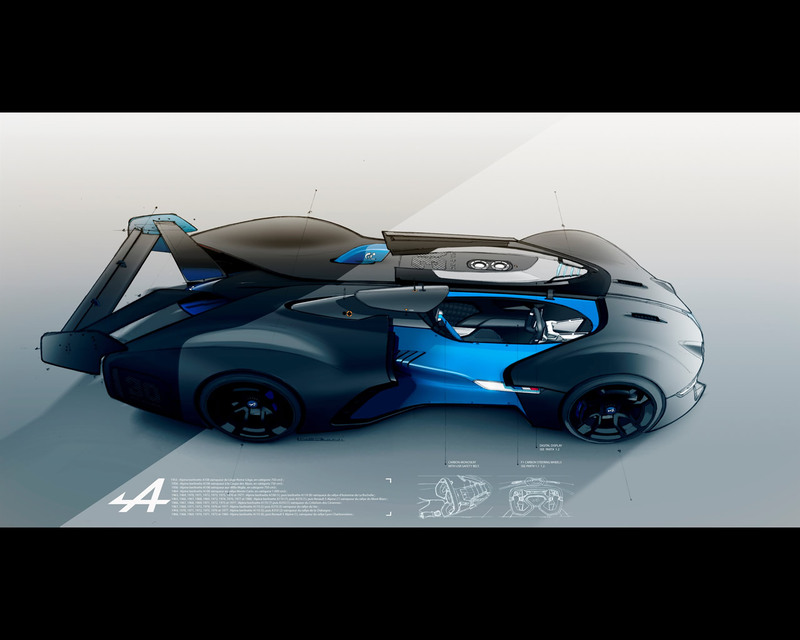 The Alpine Vision Gran Turismo will be seen for the first time at this year’s Festival Automobile International in Paris, France. For 30 years, this yearly gathering of experts in the fields of aesthetics and automotive excellence has presented a number of special awards, including one for the Plus Belle Voiture de l’Année (Most Beautiful Car of the Year). After its unveiling during the gala evening at the French capital’s Hôtel des Invalides on Tuesday, January 27, the car will remain on display at the Festival until February 1. After that, it will be exhibited at the 2015 Rétromobile Show (February 4-8) at the Porte de Versailles, Paris, where celebrations of Alpine’s 60th anniversary will kick off in earnest. 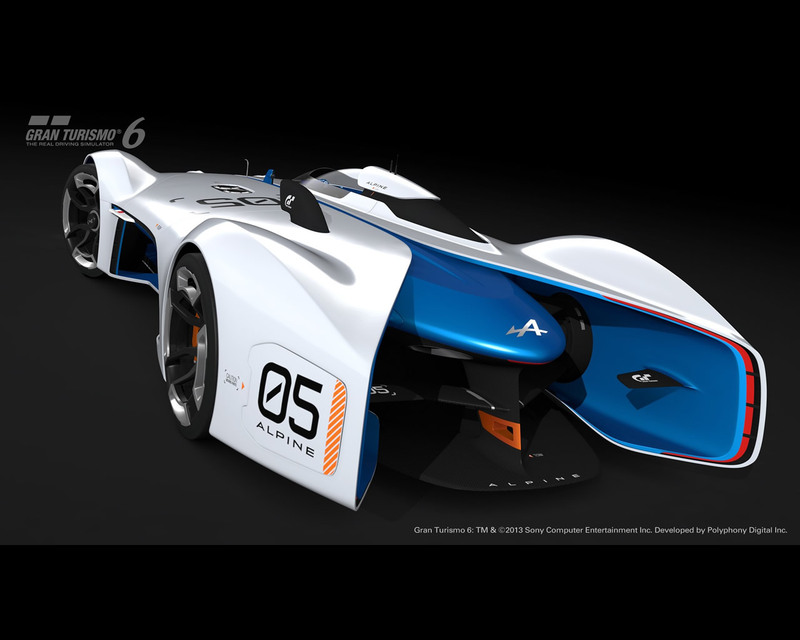 The Alpine Vision Gran Turismo will be made available as part of a free update of Gran Turismo® 6 for PlayStation® 3 in March 2015. 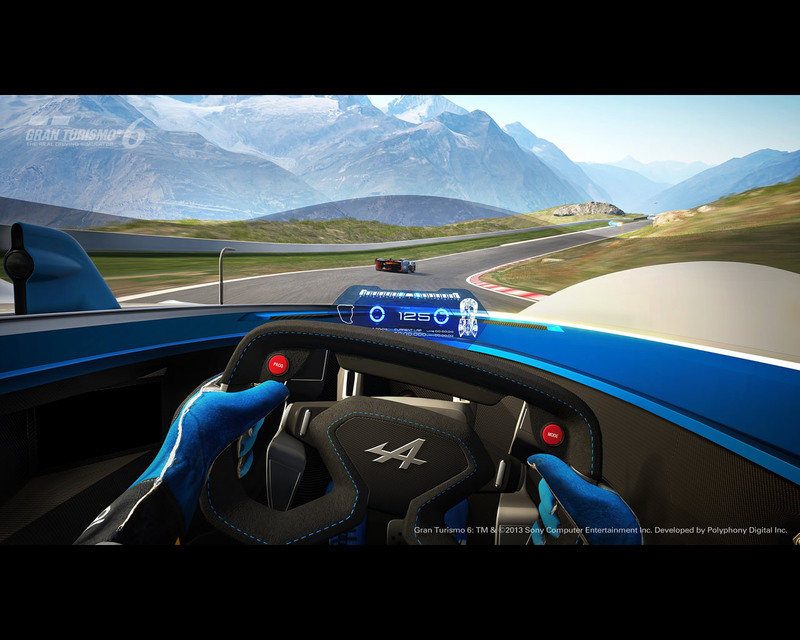 To discover the car, players will select ‘Vision GT’ on the ‘My Home’ page.